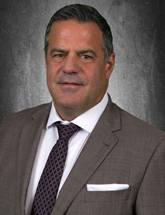 Jim Pietrarosso | Brown Commercial Group, Inc.
Jim joined Brown Commercial Group in 2016 and represents the interest of corporations, institutions and entrepreneurial clients in the sale and leasing of office and industrial space throughout the suburban market. He is skilled in many aspects of lease evaluation, site analysis, property valuation and real estate transaction analysis. Jim brings a unique perspective to industrial brokerage, having worked in the tool and die industry for 20 years. He focuses on helping industrial and office clients evaluate their space and make informed decisions about how their space can support business operations. Since 2011, Jim has completed more than 100 transactions earning him awards for his transaction volume.